“Easy Ed’s Variety Hour” will be back again this Friday with two hours of Rockabilly, Hillbilly, R&B, and Rock and Roll. Please tune in, and send along your requests! WMFO and I would like to thank everyone who contributed during our 40th anniversary fundraiser. We brought in some much-needed operating income. Long live freeform radio! 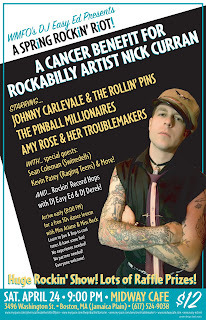 Performing will be Johnny Carlevale and the Rollin’ Pins (www.myspace.com/johnnycarlevaletherollin39pins), The Pinball Millionaires (www.myspace.com/thepinballmillionaires), Amy Rose and Her Troublemakers (www.myspace.com/amyrosetroublemakers), special guests Sean Coleman (Swinedells) and Kevin Patey (Raging Teens), and more. DJ Derek and I will be spinning rockabilly and rock ‘n’ roll throughout the night as well, and the evening will kick off with a free dance lesson taught by Miss Ariane and Miss Beck. April 28: I will be the guest DJ at River Gods in Cambridge for Primitive Sounds night. Thanks to Jason Beek, P.J. Eastman, and the folks at River Gods for the invitation. Please stop by! The music starts at 9:00 PM. “Easy Ed’s Variety Hour” will air again tomorrow night (3/12). If you’re interested in tuning in to our worldwide broadcast, please see the details below. Also, we’re in the middle of a fundraiser aimed at covering some of the basic expenses incurred by an all-volunteer radio station. Any and all pledges would be greatly appreciated. 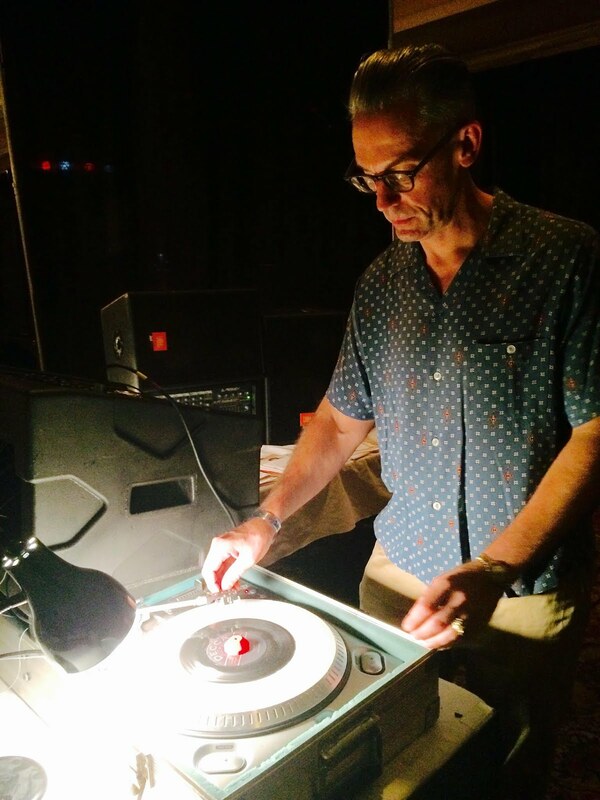 “Easy Ed’s Variety Hour” will be back again this Friday with two hours of Rockabilly, Hillbilly, R&B, and Rock and Roll. Please tune in! Requests? Hit me! Also: WMFO is pleased to announce the start of our 40th Anniversary Donations Drive. This fundraising event is currently in full swing and will wind up on March 20th. Our goal is to raise at least $5000 to continue the station upgrade we started last year and to ensure more great freeform programming. PS. Below, in painstaking detail, is a summary of the 2/26/2010 show’s doin’s. An archived MP3 is available for free download at www.easy-ed.net. Nick Curran and the Lowlifes “Tough Lover” from Reform School Girl (Eclecto Groove Records) — www.myspace.com/curranrock For Bob!